That Daily Deal offers the Beyond Wireless Bluetooth In-Ear Headphones for $6.49 with free shipping. That's a buck under our mention from two weeks ago and the best price we could find by $5. They feature Bluetooth 4.0, a built-in mic, and up to 10 hours of talk time. Deal ends April 24. Macy's offers the Lodie Fabric Accent Chair in Stone Grey or Muslin Tan for $161 plus $99 for shipping. That's $168 off list and the lowest price we could find. It measures approximately 31" x 33" x 37". Amazon offers the Minky 49-Foot Outdoor Retractable Clothesline for $16.82 with free shipping for Prime members. (Home Depot charges the same with in-store pickup.) That's the lowest price we could find by $4. It's fully retractable and includes mounting hardware. JBL offers its refurbished JBL Everest 310 On-Ear Wireless Bluetooth Headphones in Brown for $47.99 with free shipping. That's tied with our mention from last month and $52 less than the best deal we could find for a new pair. They feature Bluetooth 4.1, flat-fold design, detachable cable, and a 10Hz to 22kHz frequency response. Also available are the refurbished JBL Everest 710 Over-Ear Wireless Bluetooth Headphones in Silver for $59.99 with free shipping. That's also tied with last month's mention and $55 less than buying new. Specs are as above. Note: A 1-year JBL warranty applies to both models. This device boosts your WiFi signal to give you better coverage throughout your home. If parts of your home have a weak wireless signal, a WiFi booster might be just what you need. Read on to learn what these devices are, how they work, and how they differ from WiFi extenders and repeaters. A WiFi booster is a device that's meant to amplify (or "boost") WiFi signals, thereby helping to eliminate spotty wireless in your home. Unfortunately, there doesn't seem to be a more solid definition of "WiFi booster" than that. 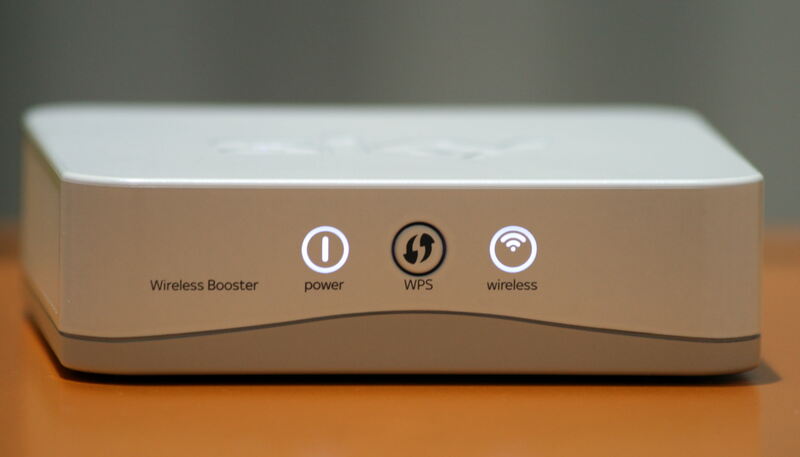 A WiFi booster is a device that can amplify WiFi signals to help eliminate spotty wireless in your home. How Does a Home WiFi Booster Work? Although definitions are vague, experts say that a WiFi signal booster acts by "boosting or amplifying existing signals" in order to expand a wireless network's coverage area. SEE ALSO: What Is a WiFi Repeater? Note the use of "amplify" here. According to Make Tech Easier, this means a booster can actually make a weak signal stronger, turning a dead zone into a place where you can connect your devices. Though each of these devices can work in different ways, most retailers seem to use the terms interchangeably. Some guides even suggest that a WiFi repeater, booster, and range extender are all the same thing. So which one should you buy? Don't worry about the name so much — instead, focus on the specs of your WiFi hardware. That's how you'll be able to determine if it'll serve your needs. What Is a WiFi Repeater?